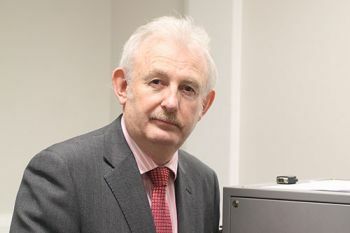 Professor Ken Grattan FREng, Dean of the City Graduate School and George Daniels Professor of Scientific Instrumentation, has received one of the Royal Society's 2014 Wolfson Research Merit Awards. The scheme, supported by the Wolfson Foundation, provides UK universities with additional support to enable them to retain respected scientists of outstanding achievement and potential and covers all areas of the life and physical sciences, including engineering. The scheme is jointly funded by The Royal Society and the Wolfson Foundation. "I am delighted to have been made this award by the Royal Society and the Wolfson Foundation. This recognizes the internationally competitive nature and quality of the research work done by our Photonics and Instrumentation Centre at City and the impact made through our work for industry and the publications and the citations to it by scientists across the world. It is very pleasing to be amongst a distinguished group of scientists and engineers to whom this award has been made." For more information on City's Photonics and Instrumentation Centre, please visit this weblink. The study or application of electromagnetic energy whose basic unit is the photon, using technology such as optics, lasers and other light sources, fiber optics, electrical engineering, and materials science in numerous applications including communications, electrical engineering, materials science, and information storage and processing.